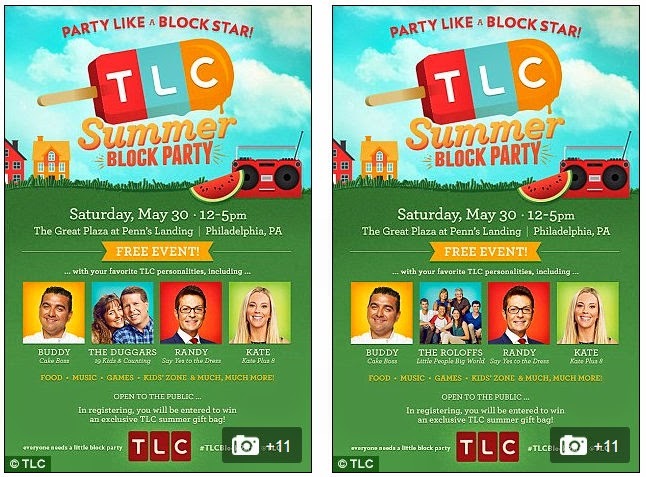 PHILADELPHIA: TLC Drops Duggar Family From Summer Block Party Event - Joe.My.God. 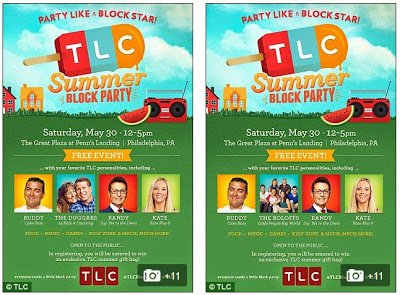 TLC has pulled Jim Bob Duggar, his wife Michelle and their 19 children from its highly-anticipated Summer Block Party, which is taking place in Philadelphia at noon on Saturday. The family had originally been slated to appear at the event, which features a number of network stars and is open and free to the public – and had even appeared on the party’s official poster. But they have since been dropped from the party, while Little People Big World’s Roloff family has replaced Jim Bob and Michelle on the poster, according to screenshots from the event’s website. It comes just days after a shocking 2006 police report emerged alleging that Josh had molested five young girls in 2002 and 2003 – in some cases, while they were sleeping – and later admitted to it. On Friday, TLC revealed it had pulled 19 Kids and Counting from its schedule – one day after it had decided to run a marathon of the show that heavily featured Josh, which had outraged fans. RELATED: Family Research Council leaders Tony Perkins and Peter Sprigg have not uttered a peep on Twitter since last week, forgoing even their usual “God, Guns, & Glory” kind of messages on Memorial Day.